Wednesday, March 9 at 8:00 a.m. PST and 5:00 p.m. PST. 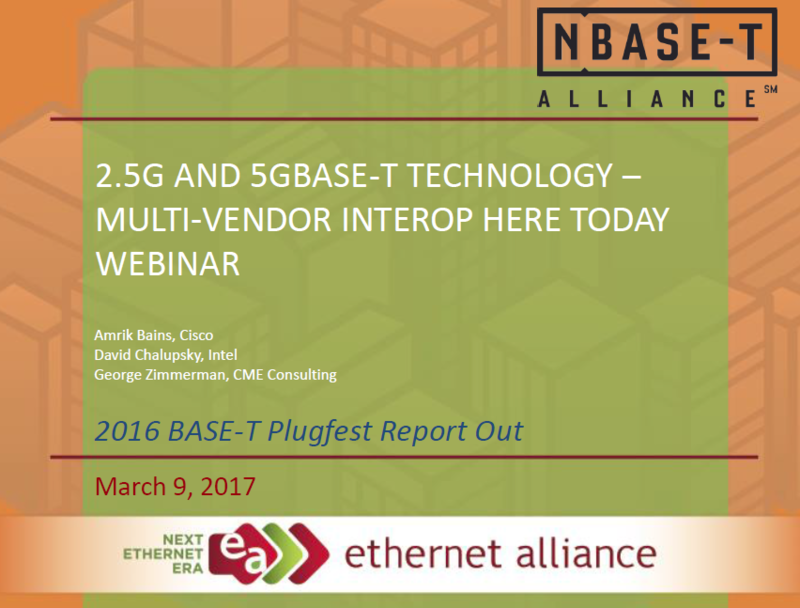 With 99 percent success rate, 2.5G and 5GBASE-T Ethernet plugfest shows technology Is ready for primetime. This joint webinar provided an in-depth overview of the testing and subsequent results. Click here to download the full presentation and access the recorded presentation.